Congratulations! You have purchased an AKC registered purebred dog, an addition to your family that has brought a new dimension to your life. But aside from being your best friend, he is quite a handsome animal. Youve attended dog shows and it looks like something you and your dog would both enjoy. If youd like to give it a try heres what to do. If you are interested in showing your dog, have qualified breeders or WCA members evaluate the dog & be prepared to take their advice. It is always good to “hook up” with a breeder or exhibitor in your area who can help you through the process of showing your dog. 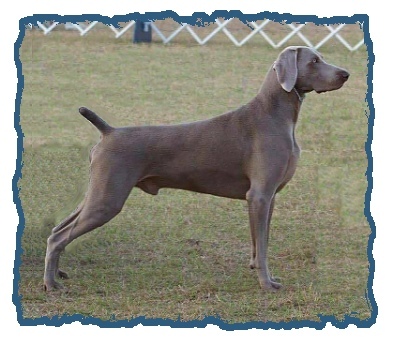 Spayed or neutered dogs are not eligible to compete in conformation classes at a dog show, nor are dogs with disqualifying faults as per their breeds standard. If youve attended a dog show, youve already taken an important step in getting involved in the sport of showing your dog. If you havent yet attended a show make an effort to do so. To find out about AKC dog events in your area, you can check the Event Calendar or you can use the AKCs online Club Search to find out about any dog clubs in your area. Local clubs host dog events and typically offer guidance and resources for interested dog owners. Many offer weekly classes in dog training and handling and can provide information about a variety of dog sports. 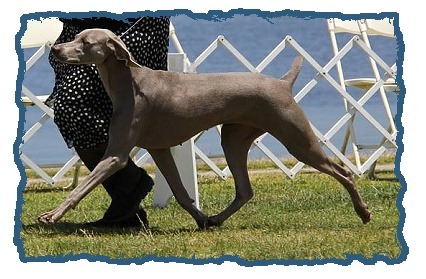 While visiting the show, inquire at the club table or club tent about breed handling or conformation handling (showing a dog in the show ring). Classes are sponsored by the club. The classes are usually held on weeknights and will teach you the basics of handling your dog. It would also be to your benefit to ask how you may go about joining the club as you are new to the sport and would like to get involved. A list of clubs nationwide is available from the AKC. Dog clubs are involved in many activities besides putting on a dog show and they all welcome new members who want to lend a hand. Youll meet new people and share their knowledge and experiences. The club may also have information about match shows in your area. 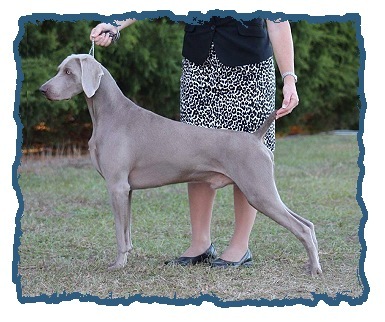 These are fun shows that are used for practice and training of both dogs and novice exhibitors. 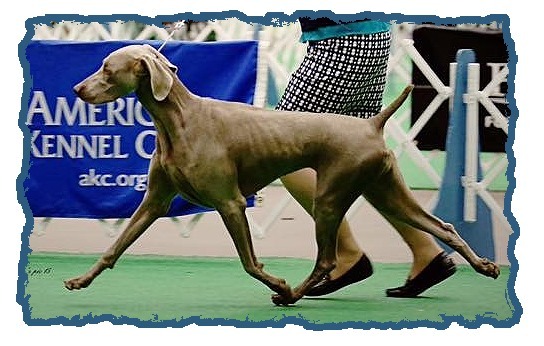 While these shows award no points toward an AKC title, they are a great place to “get your feet wet” before entering a real show. If you dont wish to handle your dog yourself, you may contact a professional handler to show your dog. Professional handlers charge a fee for showing dogs, so before hiring a handler make sure you obtain a schedule of the fee. Talk to several handlers, get copies of their rate schedules and visit their facilities. Observe them both in and out of the ring before making up your mind which handler to choose. You will be entrusting them with your dogs care, so make sure you are entirely comfortable before doing so. If there is something you dont understand, make sure the prospective handler answers all of your questions before entering into any agreement. So now youre on your way. You are entering a sport that will bring many hours of enjoyment and education to every member of your family. You will make many friends in the sport, and will enjoy your dog and your new hobby to the fullest extent. Good luck! Want to enter the world of dog shows and dont know how to begin? 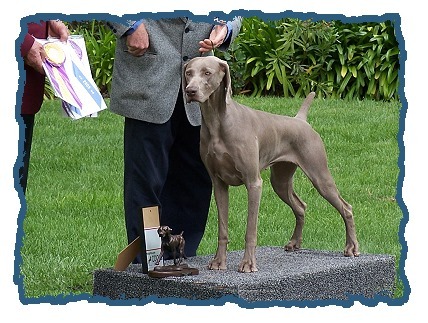 Learn the basics for showing your dog successfully: how to train your puppy to be a show dog, how to handle your own dog in the show ring, how dog shows are judged, how to enter dog shows, how to read premium lists, how to read judging programs, how to count championship points, and how to have FUN showing your dog. Over 250 photos and figures, will take you from your puppys earliest training to his first show and on to earning his championship. New advances in canine behavior have exploded some old theories and methods, but someone had to carve the way. Some methods have been replaced, yet others held strong and formed the foundation that is still successfully used today. Many of those legends are disappearing from the dog show and training world. It would be a shame to have their knowledge and experience gone forever...especially that of Adelenes. 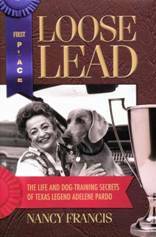 In this book, Adelene shares her experiences in life, her adventures in dog training and showing, and her well-known expertise in the loose-lead style of conformation handling. Apply the latest scientific research on how dogs learn to the world of dog showing. 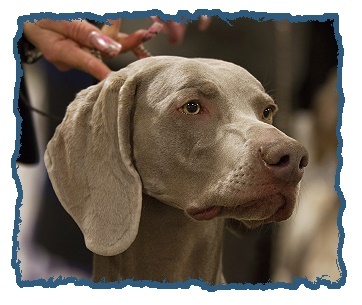 Whether you are just getting started in the breed ring or are an experienced show dog handler, you will enjoy learning how to work with your dog as your partner. Get outstanding showing results by using positive reinforcement methods including clicker training and lure/reward methods. Written by a dog show person for dog show people. Techniques of handling your own show dog from two expert handlers. 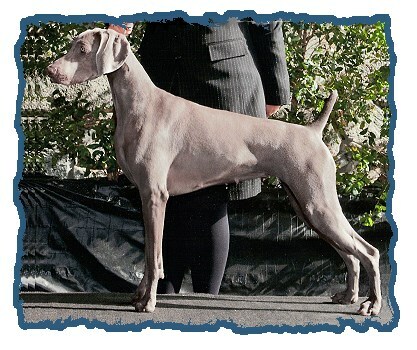 New Secrets is the definitive book on the sport of exhibiting purebred dogs. 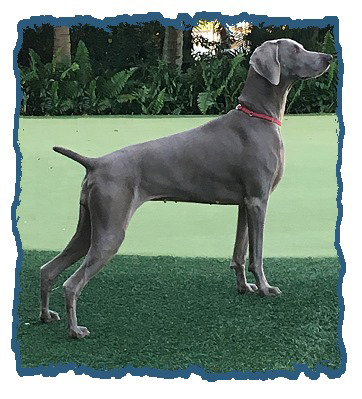 From early training to ring strategy and promoting a special dog, this comprehensive illustrated guide reveals the actual practices, procedures and etiquiette involved in showing. 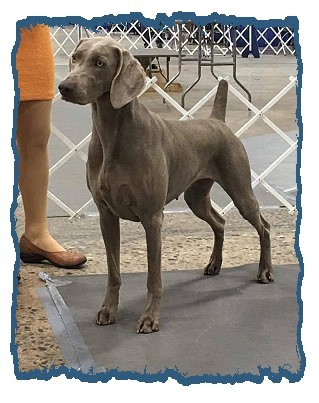 You will learn what dog shows are all about; early show training; settting up your dog; baiting; ring procedures; conditioning; presentation and ring strategy; tricks of the trade; the secret formula for success and publicizing your dog. 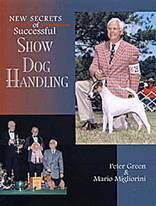 Peter Green is one of the foremost professional handlers in America today, with four Best of Show wins at Westminster and a host of other prestigious accomplishiments to his credit. Mario Migliorini has been a successful breeder, trainer, and handler on two continents. A training course for the conformation ring with Jeffrey Brucker, one of top handlers in the US. 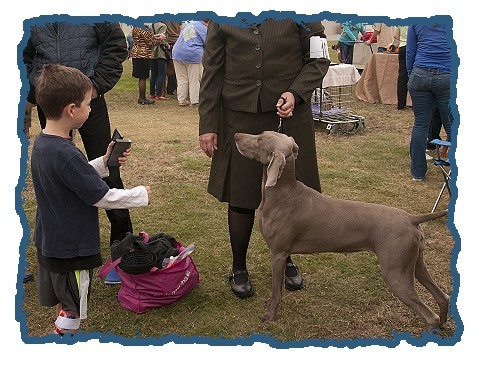 Very detailed on all aspects of showing dogs and dog shows. For the more advanced, but non-professional handler. Includes Understanding Your Breed; Anatomy; Being a Winner; Step by Step, Trip to the Show; Grooming Your Dog; Training Your Dog; Being Show Ready; Judges Thoughts. How to show your dog in the breed ring. It combines understanding of the psychological instincts of animals with a practical system for showing dogs and competing against the professional dog handler. It also demonstrates the special contributions that dogs make in our lives and the many ways that they can teach, guide and help us. Practical, true stories are included that describe how dogs have saved people's lives, both physically and emotionally, to remind us of how important they are to our overall well-being and life satisfaction. 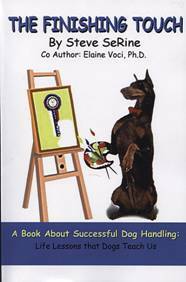 Mostly, loaded with practical tips on teaching you and that special puppy to win!